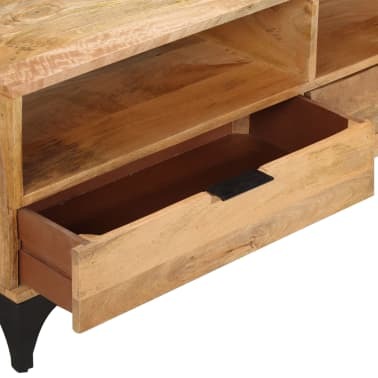 This TV stand will make a unique addition to your room. 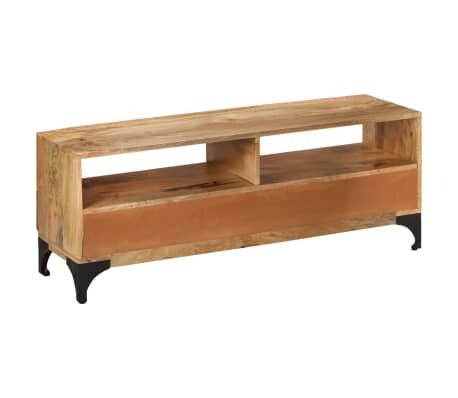 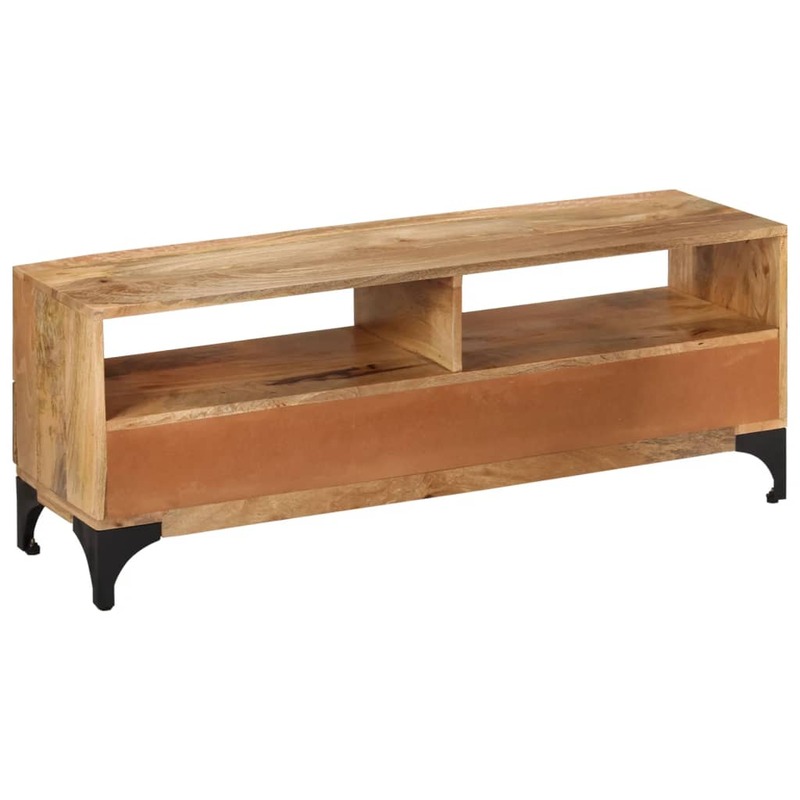 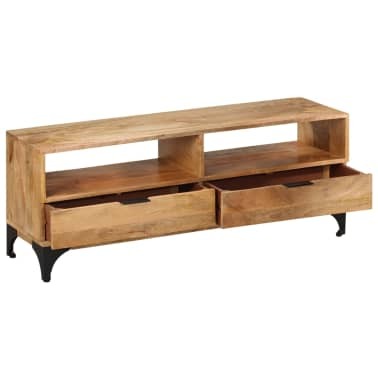 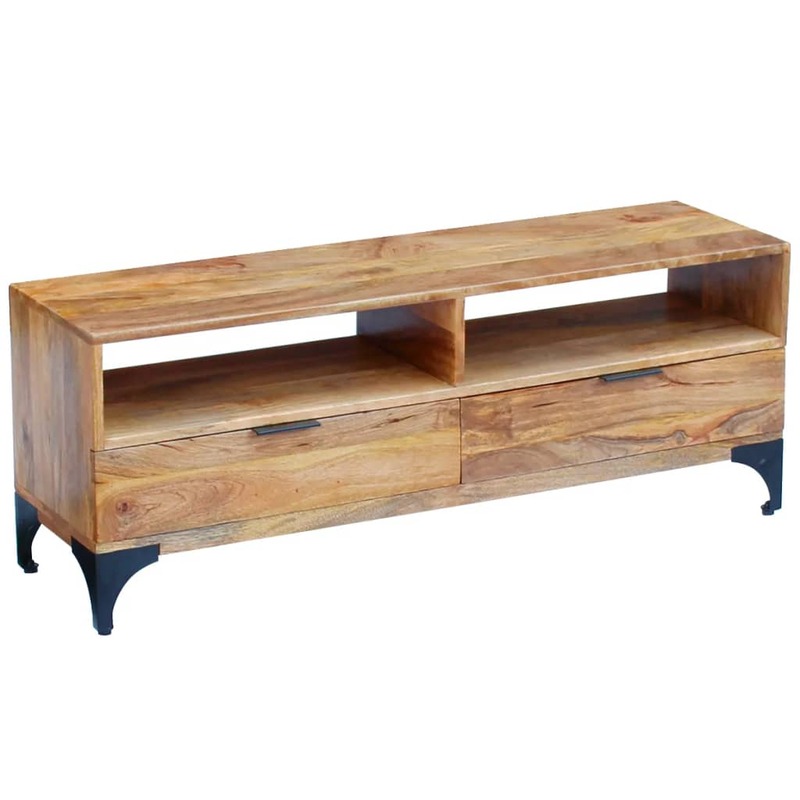 Its solid wood construction makes it stable and secure to place drinks, fruit baskets or decorative items. 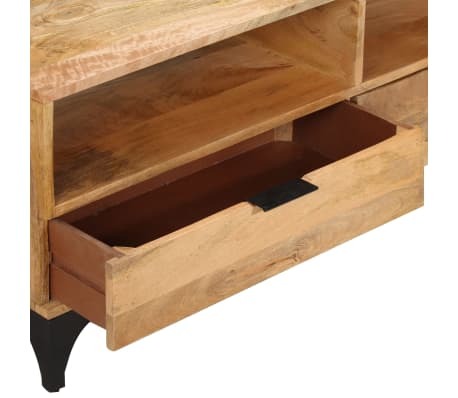 With two compartments and two drawers below, you can keep things well organized. 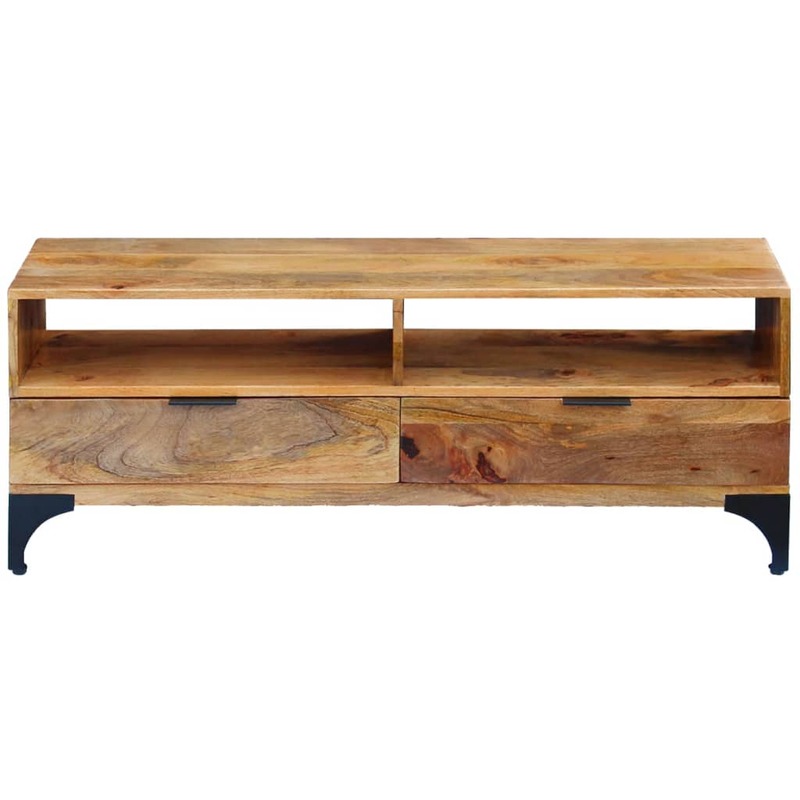 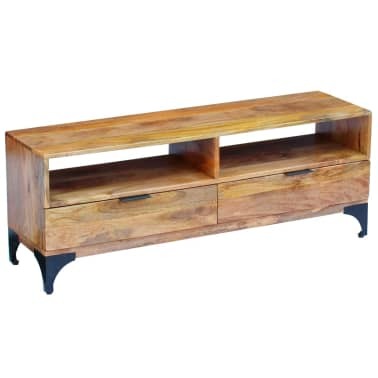 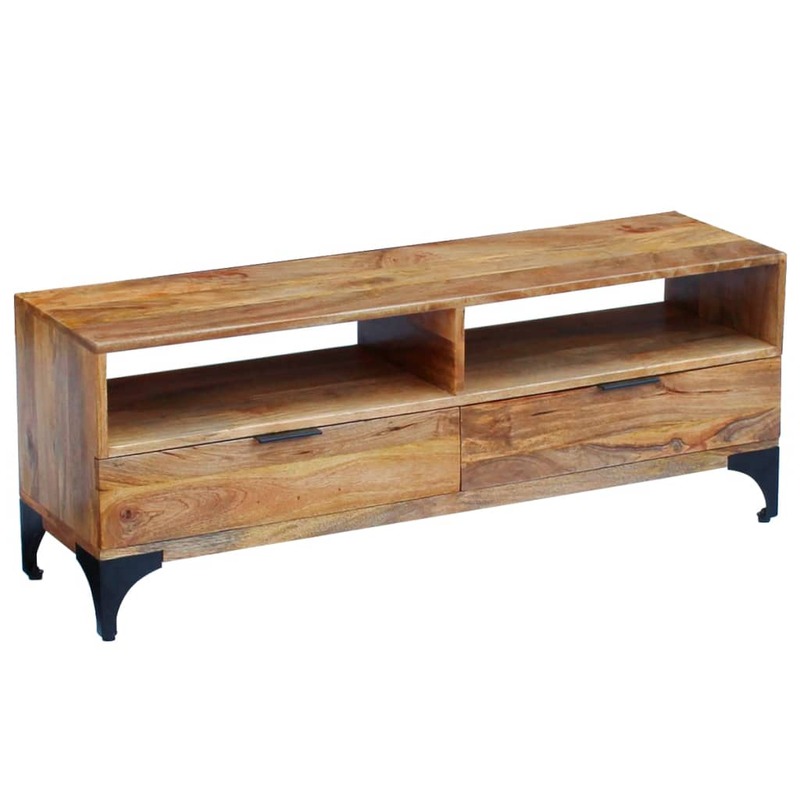 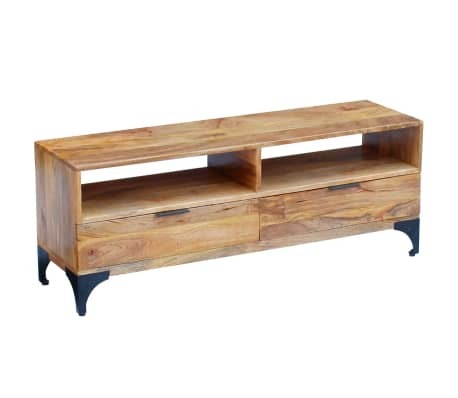 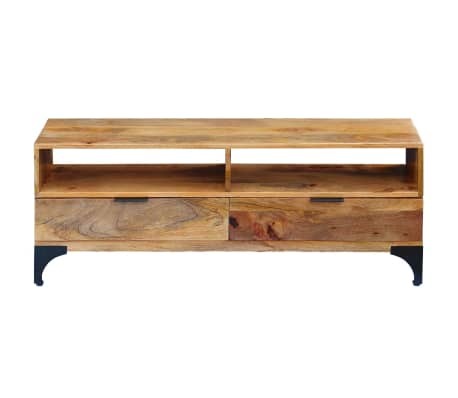 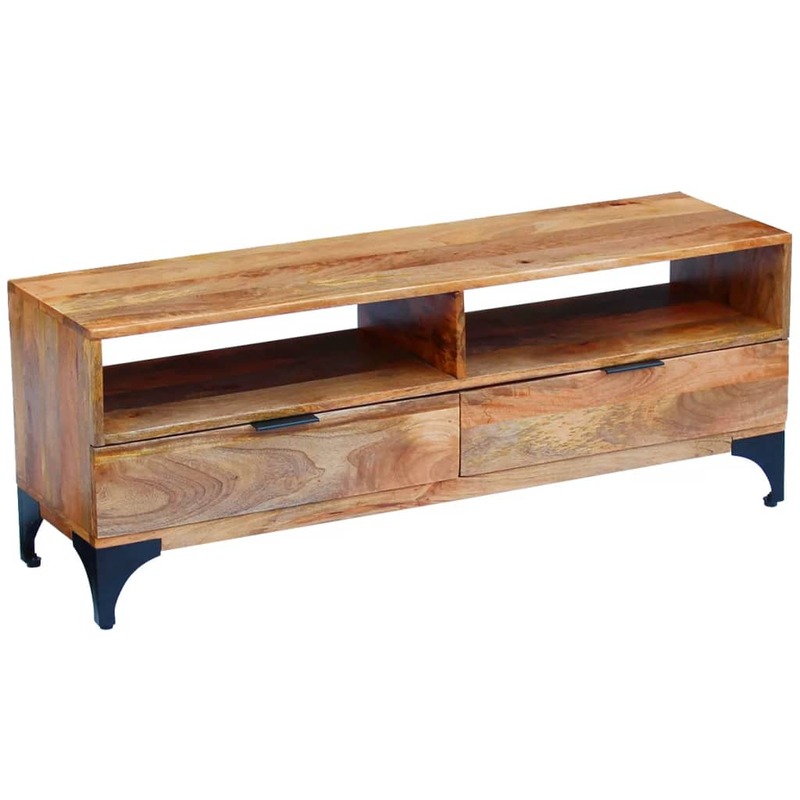 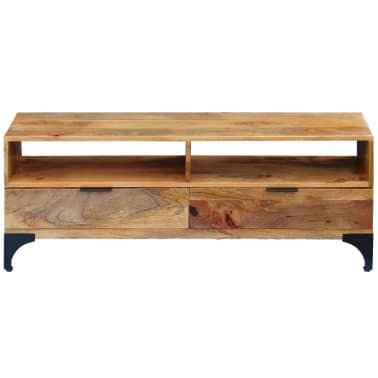 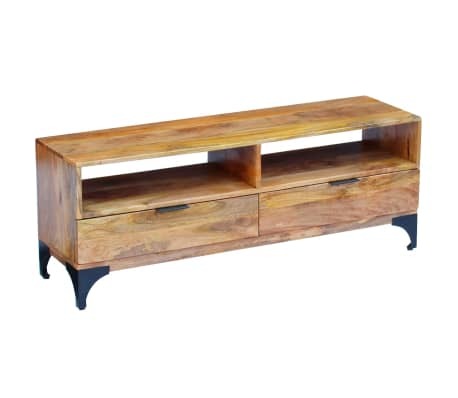 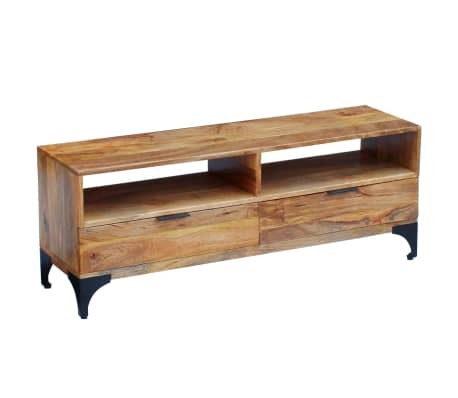 The TV cabinet can also be used as a side cabinet, a side table, a console table, a sideboard, etc. 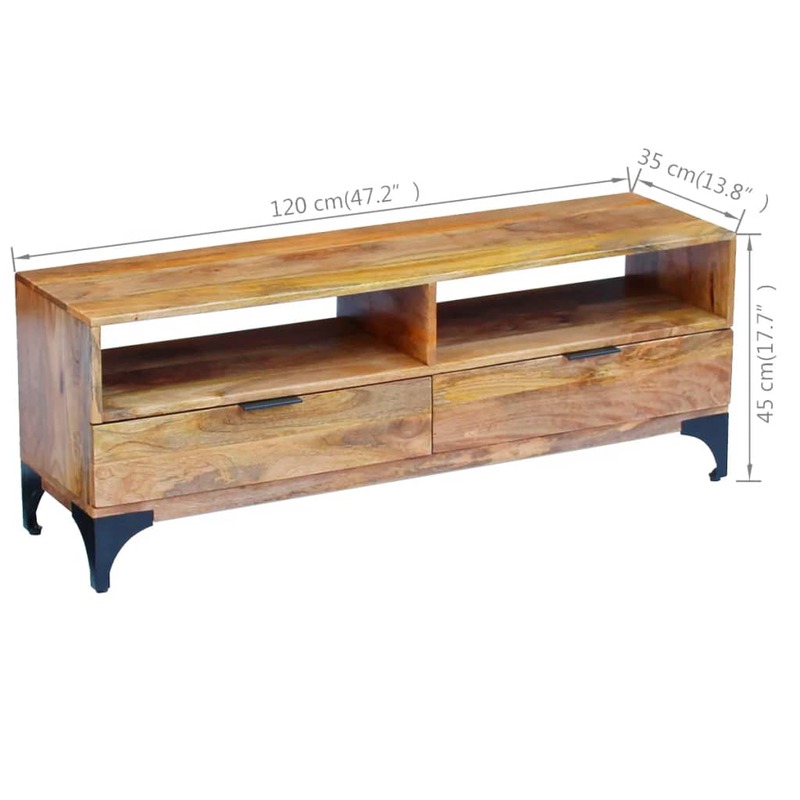 The stand is fully handmade, and every step of the process is carried out with the greatest care, be it polishing, painting or lacquering. 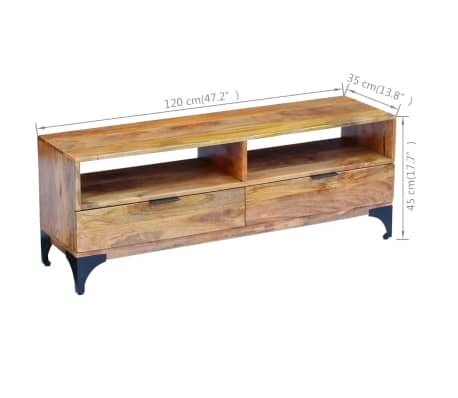 Its legs can be assembled easily.